Tsukiji Market is Japan’s most famous wholesale market. Tsukiji Market is divided into two sections: the Inner Market where professionals gather and the Outer Market where common folk, including tourists, can get a taste of the excitement. 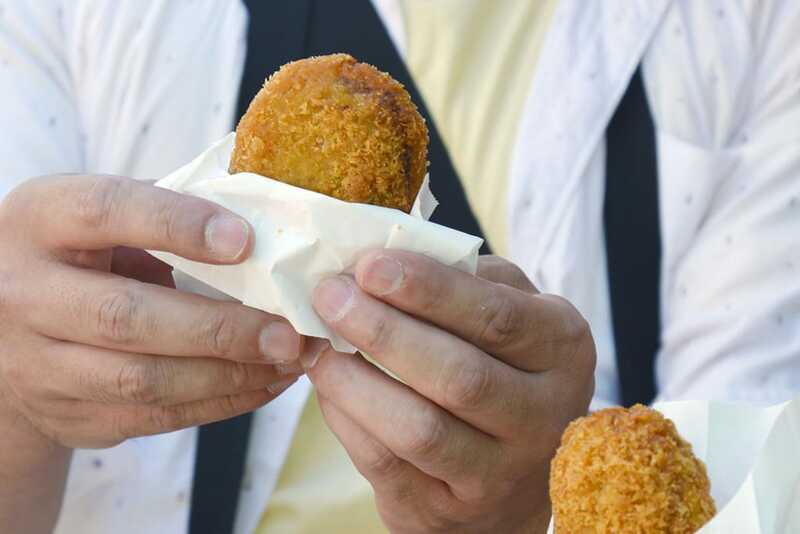 A great way to explore the Outer Market is sampling street foods. Food vendors lining the streets of Tsukiji offer mouth-watering delicacies. In this article, we’ll spotlight Yoshizawa Shoten, which is famous for its menchikatsu. Yoshizawa Shoten is a butcher shop established in 1927. They sell all kinds of meat like pork, beef, chicken, and ham. 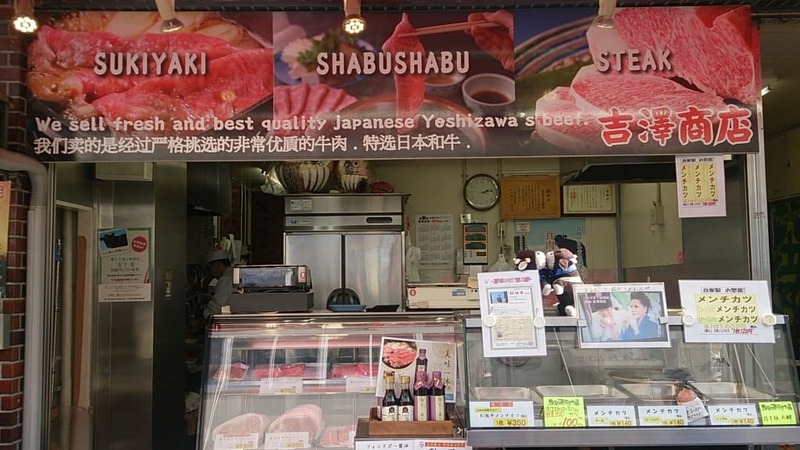 With regards to beef, Yoshizawa Shoten carries various high-end brands, such as Matsuzaka beef. These meats are also sold to top-notch restaurants, so you know the quality is up there. Yoshizawa Shoten also sells various ready-made foods using meat ingredients. These foods can be eaten on the spot, so they make for a perfect snack while exploring Tsukiji. Matsuzaka Beef Menchikatsu is a Must-Eat! One of Yoshizawa Shoten’s most popular menu items is “Matsuzaka Beef Menchikatsu”. 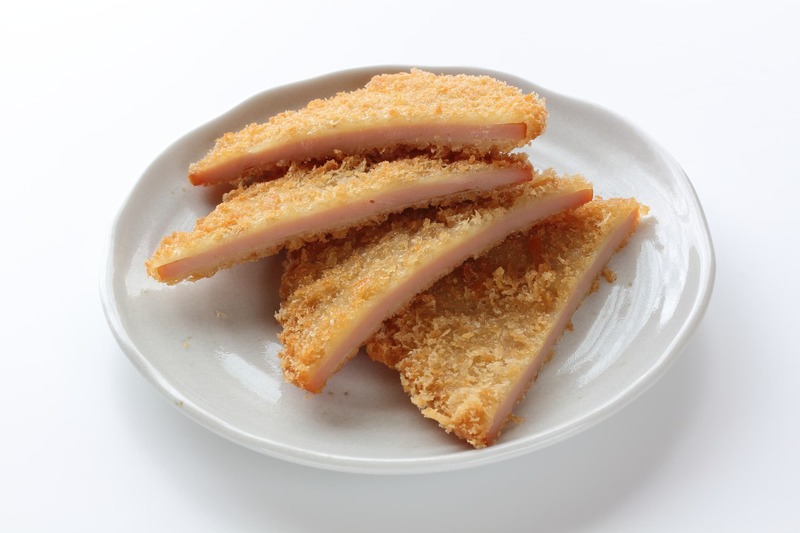 The crispy, fried outer of the menchikatsu encases a meat filling gushing with decadent meat juice. It’s packed with flavor, so there’s no need to use sauces! In addition to the Matsuzaka Beef Menchikatsu, the Ham Cutlet – essentially fried ham – is also a must-try at Yoshizawa Shoten. The ham is so thick that it feels like you’re only eating ham! However, the ham is relatively lean and many favor the delicate balance between the ham and crispy fried outer.